Alamo, CA. 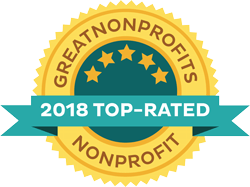 April 17, 2017 – The Pain Community announced today it has been named a “2017 Top-Rated Nonprofit” by GreatNonprofits, the leading provider of user reviews of charities and nonprofits. The Pain Community provides an “online community” for those living with pain—a place where, from their home, people with pain can be educated, coached, and supported. A place where they can learn how to advocate for themselves and others as they actively participate in life resulting in community members making positive lifestyle changes and engaging in social and personal relationships and sharing those lessons with others. “We are honored to be named a 2017 Top-Rated Nonprofit,” says Maggie Buckley, Board of Directors Chairperson, of The Pain Community. We are proud of our accomplishments this year, including the TPC Outreach Support Conference Calls” that are provided four times each month. Our Mission is to build and strengthen an active, energized and diverse community of people affected by pain by providing a foundation of support where education, wellness information and advocacy are promoted.